Exciting innovations are taking place in the grass seed industry! Do you have an old Clipper 29D or 298D in need of replacing? 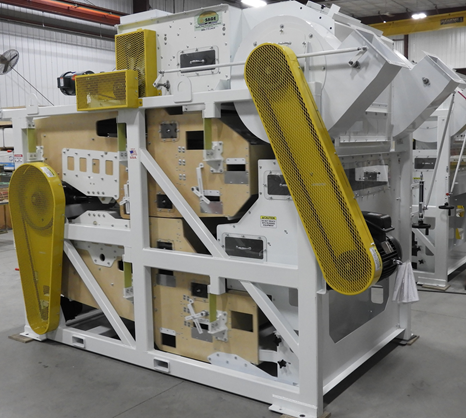 Q-Sage just released a state-of-the-art compact “easy fit” Air Screen Cleaner that matches the footprint and major spouting setup for the aging Clipper units, allowing for a seamless upgrade to your existing processing line. The new Q-Sage even fits legacy Clipper screens, so no need to order new screens. Come see the Q-SAGE Air Screen Cleaner –Easy Clipper Retrofit for yourself at our Willamette Valley Ag Expo booths. Our knowledgeable sales associates will be there to help answer all your questions. Unable to make the show? We’ll come to you for a site visit of your facility and to discuss renovation options.